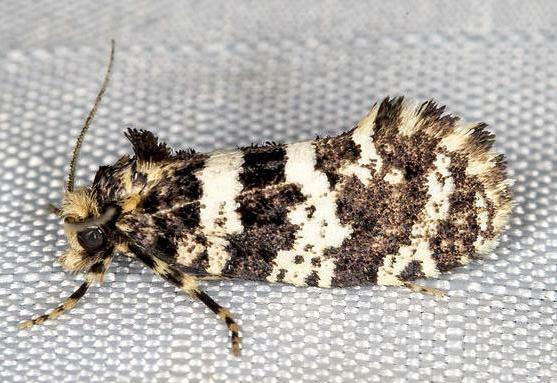 The forewings of the adult male moth of this species are off-white, and crossed by ragged dark bands. 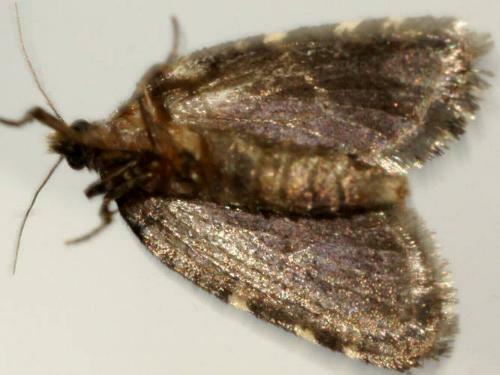 The hindwings are black. There is a dorsal crest of black scales on the thorax. The wingspan is about 2 cms. Part 35, Supplement 5 (1866), pp. 1812-1813.